Mail notifications from various mail clients, like Google mail, Yahoo mail, AOL, Daum, Hotmail, Naver etc. 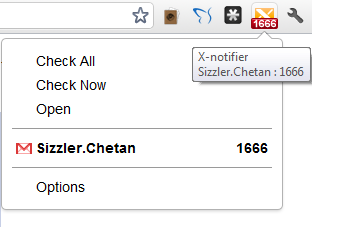 Though the notifier extension for the Chrome browser has pretty good features, it still lacks many features that the same add-on for the Firefox browser has got. 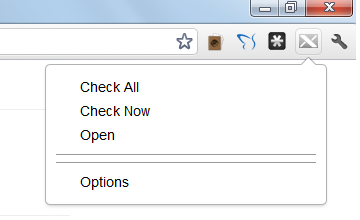 Once you install the extension, you would see the options as “Check All”, “Check Now” and “Open” through which you could update the mail inbox count, and also check the mail box by clicking on Open. 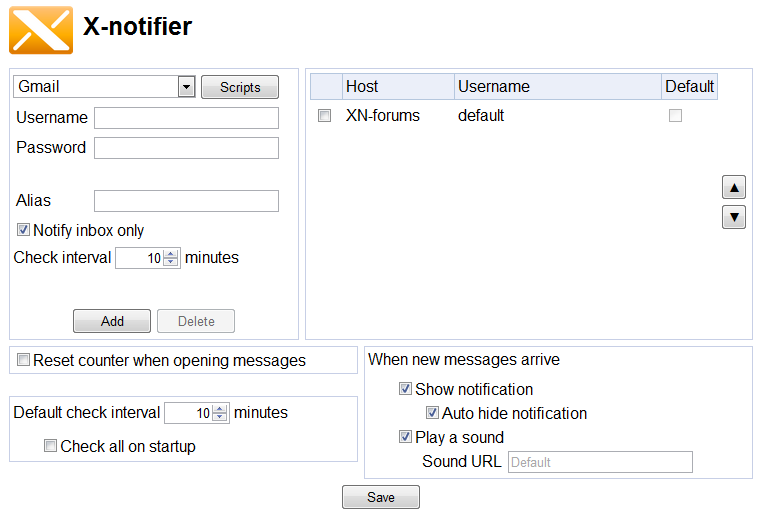 The X-notifier has various mail clients support, the most commonly used ones are the Gmail, Hotmail, Yahoo and AOL mail. Once the account is added, you would see the count of unread mail in the list of accounts in the dropdown menu, and the same count is also shown on the extension icon directly, so that you don’t need to click on it every time to check the count of unread mails. 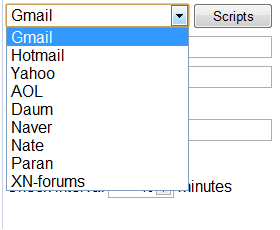 In the options page, you can add the various mail accounts for different clients, and there are options to set the interval of time for regular checking of mails, reset the counter whenever the mails are opened, and show notifications or play a sound when new messages arrives in the mail inbox. If at all you are using multiple Gmail accounts with the extension, you will need to go to your account and allow multiple sign-in, which would be asked to you when you are switching between the two gmail accounts through the extension.